The LOTT WET Science Center at 500 Adams Street NE, Olympia was a pleasant find. LOTT’s WET (Water Education and Technology) looked pretty inviting with its outdoor water features, so I went in, asking if it was strictly for kids. The lady behind the counter assured me that I was welcome and I explored the space with great interest. The center is open 10-4 and is free. They even have things to give away like a shower timer and a small bag carrier (poo bags) that can be clipped to a dog’s leash. There is a variety of educational interactive exhibits and they even have a box turtle. There are often special events especially on Saturdays and school groups come by during the school year. They have a website and a Facebook page. They also have a Twitter Feed and a YouTube Channel! 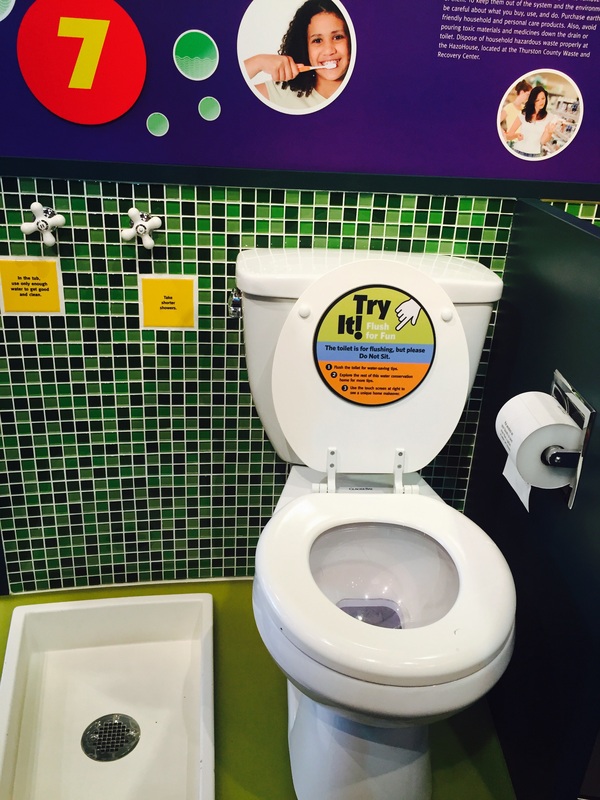 This entry was posted in Museums, Non Profits, Olympia, WA State - Thurston County and tagged educational, environmental, free, freebies, interactive, LOTT, Olympia, toilet, turtle, Water Eduation and Technology, wet on August 29, 2015 by admin. 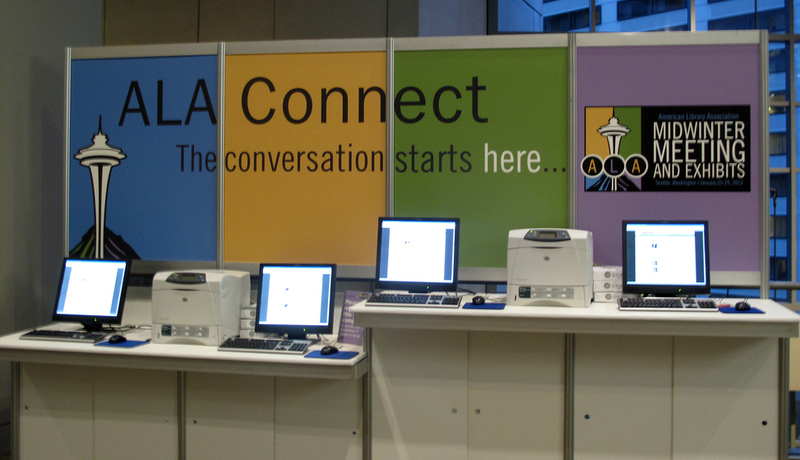 The Theme of the ALA Midwinter is “The conversation starts here”. ALA takes place this weekend in the Washington State Convention Center in Seattle. I went up for the day to visit the zillion vendors (more or less) The first person I ran into was somebody that I know! Really there were a bunch of friends there and one long time Facebook, AAUW friend that I got to meet face to face 🙂 And while there were a plethora of phones and tablets, there was also a great deal of discussion. And the vendors were friendly and had excellent freebies! I was particularly interested in learning that Gaylord was promoting Little Free Libraries “Libraries Big & Small We <3 Them All!” I put my name in to win a premade little library structure. While there I also snapped a photo of some of the art, the view and the ALA poster that my daughter (via phone) insisted I purchase. This entry was posted in Art -- there is art here!, Books (Libraries and Bookstores), Seattle, WA State - King County and tagged ALA, American LIbrary Association, Convention Center, Facebook AAUW, freebies, Gaylord, librarians, library, Little Free Libraries, mid winter, mid-winter. Washington State, Midwinter, Seattle, vendors, view on January 26, 2013 by admin.